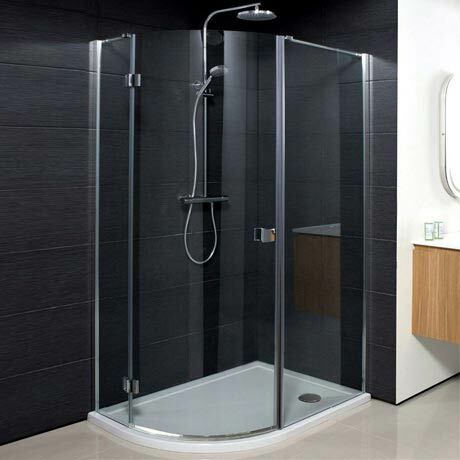 The Simpsons Offset Design Quadrant Single Hinged Door Shower Enclosure comes with a lifetime guarantee and a ClearShield coating that makes this enclosure high quality and great value for money. Features include a frameless hinged door, 15mm adjustment for easy fitting per panel and comes in a semi-frameless modern design. Door will be hinged off the smaller panel for all offset quadrants. Please note shower and tray sold separately. "Quility enclosure, easy to fit."